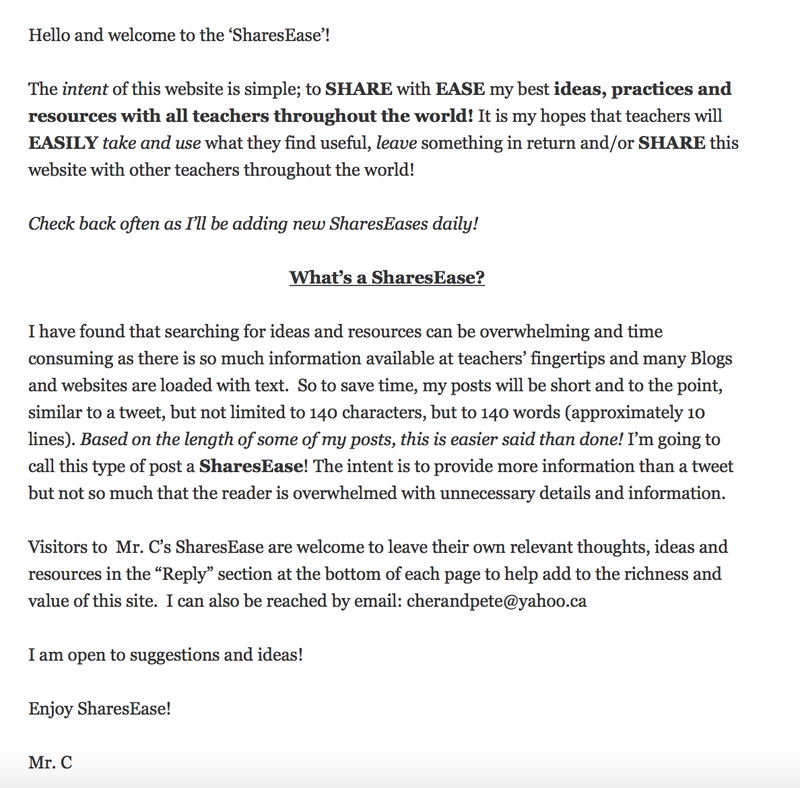 Visit my Mr.C’s SharesEase website! Hey Peter!! I teach at the college – CHILD AND YOUTH CARE program. I teach a course in 3rd year, during the winter semester (Jan – April) called Community Development. The required texts include Me to We by the Kielburger boys. My students need to engage in and/or deliver a community development event/project/endeavor, typically delivered around this time next year…..I would really like to connect with you about collaborating!!! email me on how to connect with you! THANKS.